More of Utah's ski resorts opened for Thanksgiving and the rest will open during the coming weeks. We're off to a great start on the new season. Meanwhile, much of Utah has been basking in sunshine, with warmer than average temperatures. 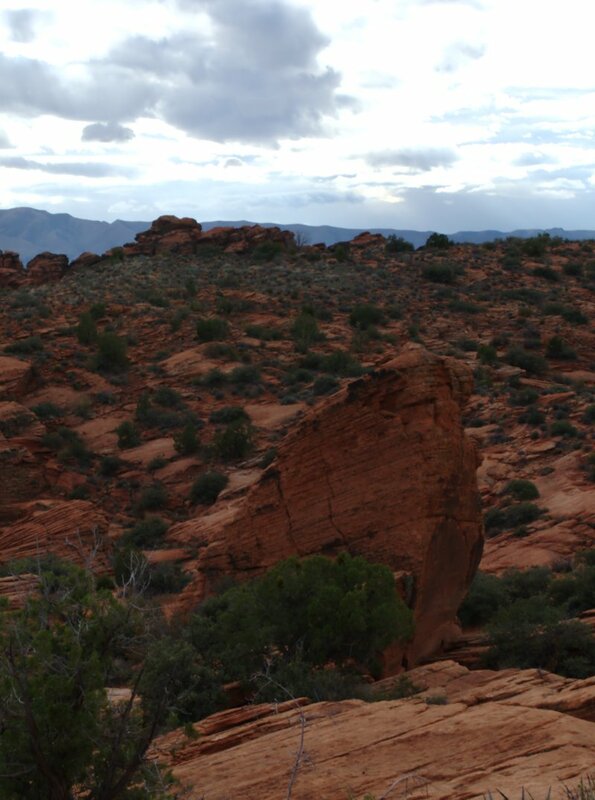 Conditions are perfect for hiking and biking in our redrock desert areas. I just checked the forecast and southern Utah should be sunny and warm through the next several days, at least. Nights will be crisp but afternoons will be very nice, with temperatures pushing up near 70 in many areas. Last weekend I hiked in Snow Canyon State Park (near St George), and had a wonderful time. It actually rained off and on Friday and Saturday morning, but Saturday afternoon was partly cloudy and warm. The sand was damp but that actually made hiking easier. 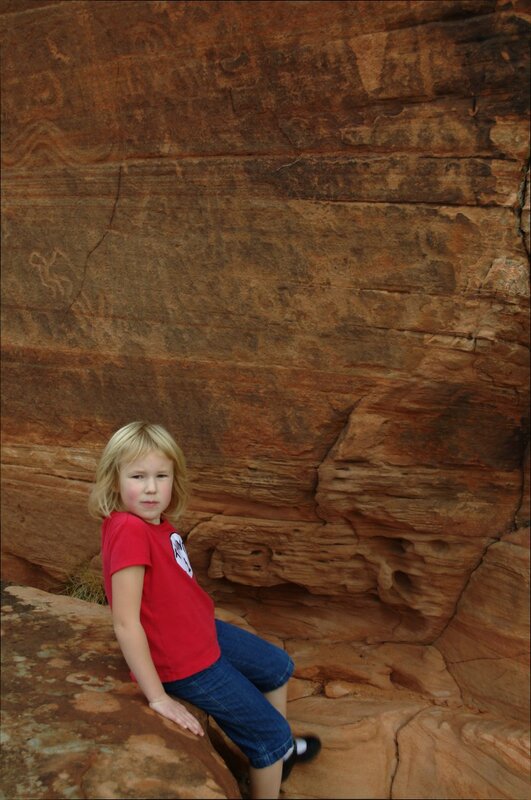 I've been exploring Snow Canyon, searching out ancient Native American rock art. I've found some great panels with impressive images. On Saturday I found the final panel on my list. It is shown in the photos accompanying this post. 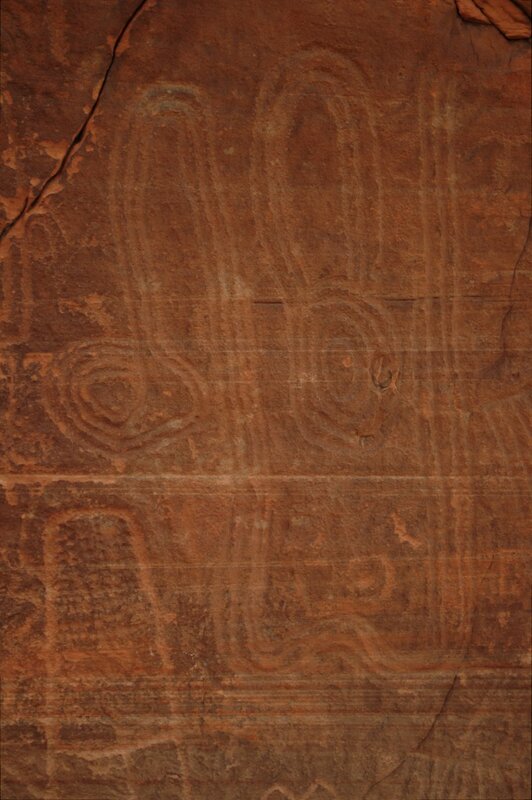 I now have photos of impressive rock art adjacent to the Snow Canyon campground and two panels of figures on the east side of the park. The panel I found Saturday is just west of The Ledges Golf Course and associated subdivision, in open terrain. 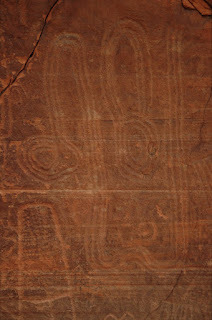 The other panel is in a narrow slow in a rugged canyon complex SW of The Ledges. 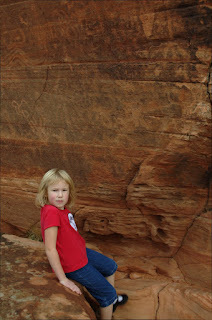 See more of my Snow Canyon rock art photos. The Snow Canyon area offers great hiking year-round. It offers a very nice escape when northern Utah is sopped in by cold and storm.